In the year 2029, mankind has been defeated by the A.I. Skynet, with only a band of human survivors known as The Resistance left fighting. When The Terminator begins, the humans finally achieve victory under General John Connor, forcing Skynet to use a time machine and send one of its cyborg soldiers – the T-800 (Arnold Schwarzenegger) – back to 1984. Once there, it is to seek out John’s mother and kill her before she can give birth. Kyle Reese (Michael Biehn) volunteers for the job. In 1984 Los Angeles, 19 year old Sarah Connor (Linda Hamilton) is saved by Kyle, who informs her of a coming ‘Judgment Day’ in 1997 that sees Skynet – the creation of Cyberdyne Systems – trigger global nuclear destruction. When Sarah suggests that they destroy Cyberdyne (in a deleted scene), Reese resists making such a drastic change to history. Sarah claims that “there is no fate but what we make,” yet agrees. Knowing Sarah as the legendary warrior who raised mankind’s savior, the pair fall in love, and sleep together. The Terminator soon tracks them down, fatally wounding Reese and chasing Sarah into an industrial factory, where she destroys it. Sarah flees with her and Reese’s unborn son – thus closing the loop of John’s conception – as the Terminator’s corpse is uncovered by Cyberdyne, and the company begins to reverse-engineer the future technology, setting the wheels of Skynet in motion. In the future of 2029, Skynet manages to send not one, but two Terminators back in time: in addition to that of the original film, a T-1000 composed of liquid metal is sent to 1995 to kill John as a 10 year-old boy. To save him, Connor sends a re-programmed T-800 to protect him. In 1995, Sarah Connor is institutionalized due to her prophetic warnings of the approaching “Judgment Day,” and John is placed in foster care. When the T-800 rescues John and Sarah, he informs her of Cyberdyne’s discovery and that Miles Dyson (Joe Morton) is reverse-engineering the recovered CPU. Skynet is set to become self-aware in August, 1997, launching America’s nukes on Russia, and triggering global nuclear war. Still believing the future could be changed, Sarah attempts to kill the innocent Dyson, eventually joining forces to destroy the future tech instead. 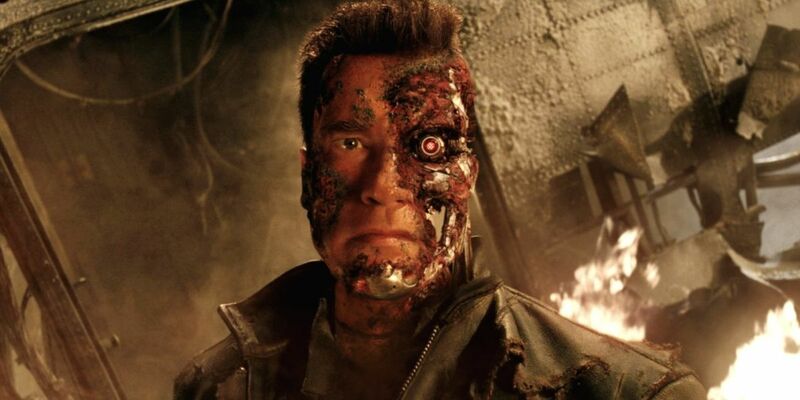 The T-1000 is destroyed, and the T-800 melts itself along with the remaining tech to prevent Skynet’s creation. Ending on a hopeful note that Judgment Day has been averted, an alternate ending actually showed Sarah and John living happily in the future (the story, as Cameron would go on to say, “was finished”). Terminator 3 – the first in the series not conceived or directed by James Cameron – claims that in 2032 an enhanced T-850 kills John Connor. When Skynet sends a new Terminator back to kill John as a young man, his wife Kate Brewster re-programs the T-850 to protect him and sends it to the same time. In 2004, years after Judgment Day would have taken place had Sarah, John and the T-800 not prevented it, John (Nick Stahl) lives as a drifter, staying off the grid. The T-X (Kristanna Loken) kills John’s future lieutenants instead, and the T-850 arrives to save John and a young Kate, revealing that Cyberdyne’s research was not destroyed, merely acquired by the U.S. military. Seeding a global virus to warrant its own creation, Skynet takes hold of unmanned weapons around the world. The events of the film keep to the established timeline of the Terminator series: in 2018, a decade before John Connor (Christian Bale) will achieve victory, he is only a soldier sending out radio broadcasts to build morale and hope – and seeking to draw Kyle Reese to his side. He learns that (somehow) both he and Kyle have become prime targets for Skynet. Elsewhere, Marcus Wright (Sam Worthington) awakens with no memory of Judgment Day, crossing paths with Kyle (Anton Yelchin), who is soon captured by Skynet. Marcus seeks out Connor, instead being captured and revealed to be a cyborg Terminator himself. Agreeing to infiltrate Skynet Central with Connor to rescue Kyle, Marcus must then rescue both men, donating his heart when Connor is mortally wounded. With the Resistance leadership destroyed, Salvation‘s ending sees Connor chosen as its new leader, with Kyle at his side, beginning the decade-long path toward victory that his mother had promised. 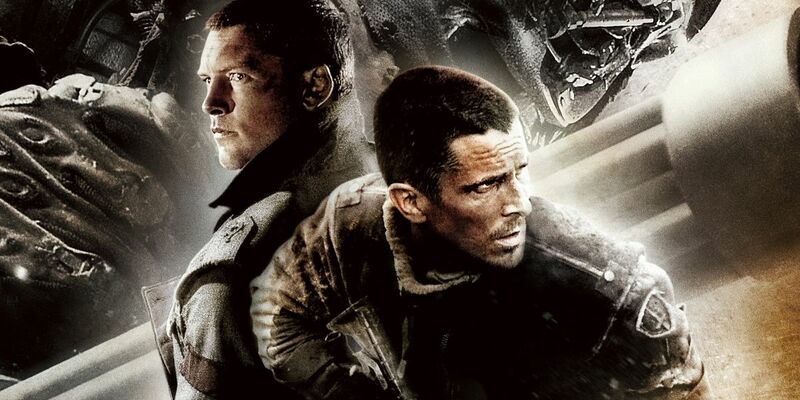 Genisys begins with Kyle (Jai Courtney) and John (Jason Clarke) carrying out their final attack on Skynet, just as the original films described. All goes according to plan until Kyle steps into the Time Displacement Device; a moment John says is the actual end of the war, and the closing of the series’ time loop. Moments before departing, Kyle witnesses a T-5000 (Matt Smith) grab hold of John, and leave his fate unknown. The film later reveals the T-5000 to be Skynet in physical form, having killed all soldiers present and infected John, triggering a replacement of his entire physiology with phased machine matter (essentially turning John into a Terminator, referred to as the T-3000). The T-5000’s fate is unknown, but he uses the Time Displacement Device to send John to the year 2014 in the film’s new, Judgment-Day-less alternate timeline. 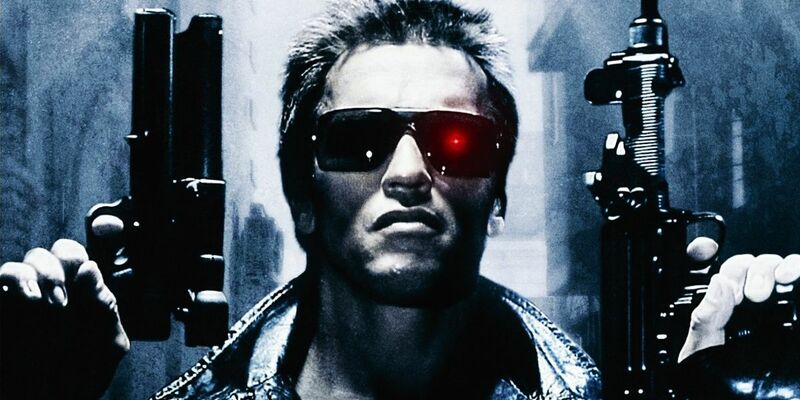 Upon arriving in 1984, the deployed Kyle and the T-800 follow the paths they walked in the original Terminator, until an aging T-800 (“Pops”) appears to kill the newly-arrived machine with the help of Sarah Connor (Emilia Clarke). Elsewhere, Kyle is pursued not only by an L.A.P.D. officer, but a T-1000 in disguise. The duo of Pops and Sarah save the day, with the would-be damsel in distress informing Kyle that Pops has been training her for war since the age of 9, when a T-1000 killed Sarah’s parents, and Pops miraculously appeared to act as her guardian. Claiming that the version of the past John sent Kyle into no longer exists, the team defeats both enemy Terminators, and use their own Time Displacement Device to travel forward in time to stop Judgment Day. For Sarah and Pops that date is August, 1997, but Kyle recalls memories of an alternate future – his alternate past – in this new timeline, in which Judgment Day occurred in October 2017, triggered by a project known as Genisys. Pops theorizes that because Kyle was displaced from time during John Connor’s death – a major event in the flow of time, given his role in the destiny of the world – he is able to glimpse two futures: that which he learned of growing up in the ashes of the old world, and the normal life he would have had in this new, Judgment-Day-less timeline. Sarah agrees, and the pair depart for 2017. Upon their arrival, Kyle and Sarah are visited by John (the T-3000), having spent the last three years in this timeline creating the Genisys operating system with Cyberdyne’s Danny Dyson (Dayo Okeniyi), son of Miles Dyson. Kyle, Sarah and Pops set out to destroy Genisys before the OS launches, linking a billion people’s personal electronic devices and – yet again – getting its hooks into the military’s weaponry (“Genisys is Skynet,” after all). As John battles Pops, Sarah and Kyle meet Skynet years before it is able to take a human form as the T-5000, managing to destroy the complex and John along with it, with Pops enjoying some “upgrades” courtesy of a dip in the liquid metal baths used to create the T-1000s. Assuming Skynet has once again been stopped, Kyle gives his younger self the memories needed to save the day (12 years in this other future), and all set off to make their own fate. That is, until a credits scene reveals Skynet to be intact, with the formless T-5000 admiring a massive red power core. The practical problems should be evident to any fan upon seeing Genisys, the main issue being Kyle Reese’s travel from the future established in the original series, to a past that would clearly not produce that same future. Kyle mentioned to Sarah in The Terminator that the time he came from was just “one possible future” – though that wasn’t his field of expertise – but basic assumptions of time travel would state no matter how he does it, the Kyle Reese 0f 2029 could only travel back along the timeline which produced that future. The only real explanation is that “access point” created by the death of John Connor (which granted Kyle memories of both timelines) also allowed him to leap from one to the other. It’s a leap that is unexplained for now, but the actual means by which Kyle changes timelines, like the question of who sent back Pops to protect Sarah, will form the plot of this new Terminator film series. And the secret likely rests in the T-5000. 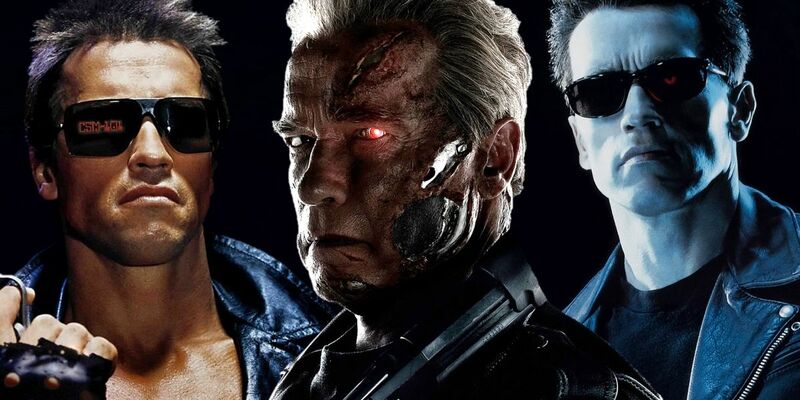 If the Terminator series has changed timelines from the one fans knew, that doesn’t mean it won’t take its structure and philosophy from James Cameron’s original premise. But to grasp the new timeline fans should start viewing John and Kyle’s assault on Skynet not as the end of the original time loop, but possibly the beginning of a different one. And to do that means assuming that the T-5000/Skynet played by Matt Smith is, quite simply, NOT the one of this previous series. If Sarah and Kyle never crushed a T-800 in the Cyberdyne factor in 1984, then the Skynet CPU used to create it wouldn’t be present. Instead, Cyberdyne’s work would need to be handed to Miles Dyson’s son, eventually leading to a technology breakthrough closer to those seen in our own world (and an unpredictable form of A.I.). Laeta Kalogridis: This particular Skynet, from another place. This Skynet – not from the original two movies – can [hop to different dimensions]. The pair of writers emphasize James Cameron’s original fiction – not that of Terminator 3 (nor the ‘alternate universe’ of the Sarah Connor Chronicles TV series) – explaining that where the first movie was a simple time loop, T2 only works under a multiverse/branching timelines model. Sarah and John prevent Skynet’s creation, but aren’t forced to deal with the fallout (John would no longer send Kyle back to father him, and therefore couldn’t stop Judgment Day). The only explanation is that Sarah and John created a new branching timeline; one that the battle-hardened adult John will never even know exists. Remember: the Terminator series isn’t one in which future-dwellers see the world change around them. Their fate has been made, but those who came before can clearly make their own. Apply this thinking to Genisys, and it seems this alternate-timeline-Skynet owes its creation to the victorious John Connor. Since Kyle and Sarah don’t father John in 1984, The T-5000 must hop into the timeline in which John defeated Skynet, and infect him with its own technology. Once complete, John is sent to Cyberdyne in the T-5000’s version of 2014… where John can create Skynet, allow it to take human form as the T-5000, and hop into the timeline where John defeated Skynet, closing the time loop which created it. In short: The Terminator remains a closed loop in which Skynet caused Judgment Day, John defeated it, and sent Kyle back to father him. Terminator 2: Judgment Day is the timeline in which Skynet sent a T-1000 to kill young John, old John sent a re-programmed T-800, and managed to kill Skynet before the war ever began. Genisys would appear to be the timeline in which the original film’s events never happened. Instead, Cyberdyne’s research proceeded as normal, resulting in a sentient, malevolent OS. An OS which owed its creation to the victorious John Connor, meaning it had to unlock inter-timeline travel to make that possible. It’s still up for discussion if it was this version of Skynet which sent the T-1000 and Pops into Sarah’s future to ensure its own timeline. Since Sarah and Kyle’s new future sees Skynet still alive, its coming activities are completely unknown – until it hops timelines into that of the original series. But at this point, watching Skynet take on the same role as John Connor – waging a war, crossing a great distance to find the man who will create it, then being raised in its creator’s image, and so on – is a clever mirroring that we’re eager to see more of. Like any quality piece of entertainment, a lot of this is subjective and there are multiple ways of interpreting the larger Terminator Genisys story, so feel free to (respectfully) share your interpretation with fellow moviegoers in the comment section below. If you’ve seen the movie and want to discuss details about the film without worrying about spoiling it for those who haven’t seen it, please head over to our Terminator Genisys Spoilers Discussion. For an in-depth discussion of the film by the Screen Rant editors check back soon for our Terminator Genisys episode of the SR Underground podcast. and genisys is skynet ... wait .. skynet exists ... so in belgium skynet is genisys ?